Prime Minister Peter O’Neill has welcomed Sam Basil as a Minister of State to the Government. Speaking at Government House on Friday, the Prime Minister said the Leader of Pangu Pati brings a wealth of experience to Cabinet. 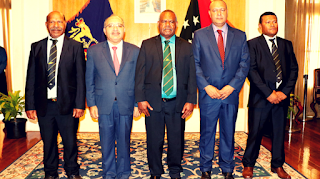 “I welcome Minister Basil to Cabinet, and the appointment of two new Vice Ministers, who I know will all make a valuable contribution to the development and implementation of Government policy,” the Prime Minister said. The Prime Minister added that there would be a minor reshuffle of Ministers today, and Minister Basil would be publicly assigned his ministerial portfolio. The Prime Minister extended his gratitude to Minister Basil and his party for supporting the Government’s policy agenda. “We have a Coalition of parties and members in Government that brings together a range of knowledge, with many years of Government and private sector experience. 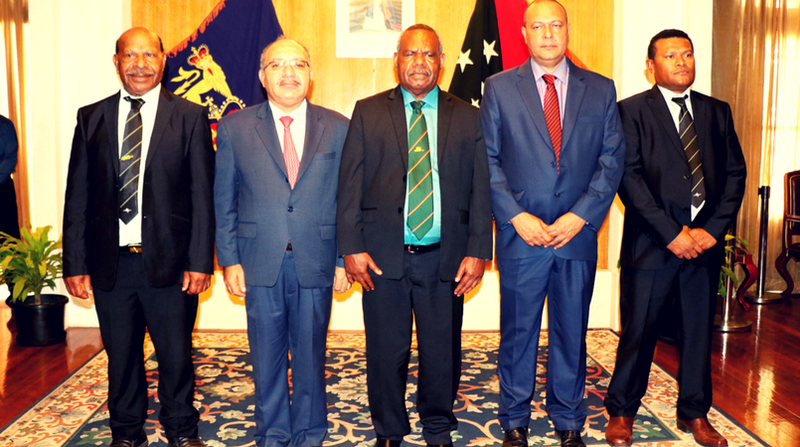 “Following five years of implementation of the First Alotau Accord, all members of Government are working for the implementation of the Second Alotau Accord. “Together we will take education, healthcare, infrastructure, law and order and the devolution of authority to new levels in Papua New Guinea.